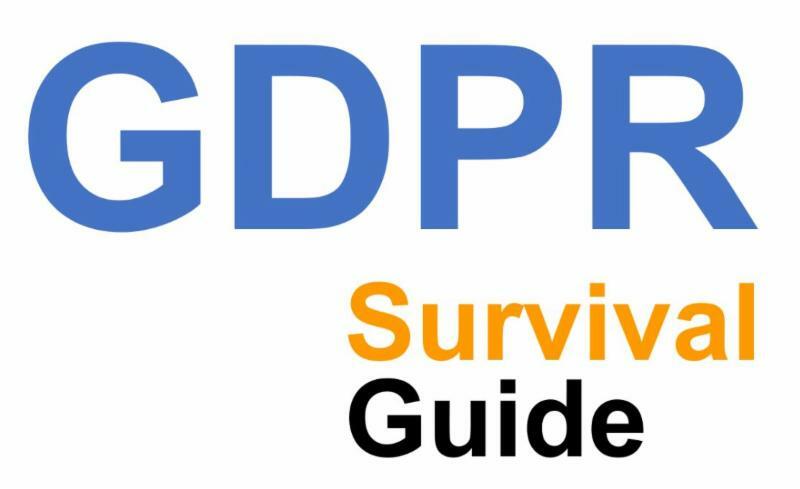 This webinar discusses how to comply with the General Data Protection Regulation ("GDPR") regulations as promulgated by the European Union ("EU") Regulation EU 2016/679 of the European Parliament and of the Council of 27 April 2016 on the protection of natural persons regarding the Processing of Personal Data, the free movement of such data. Organizations who currently, or plan to, promote business with EU states must comply with this regulation. Effective May 2018 the General Data Protection Regulation ("GDPR") goes into effect. Organizations currently, or planning to, transact business with EU member states must comply. 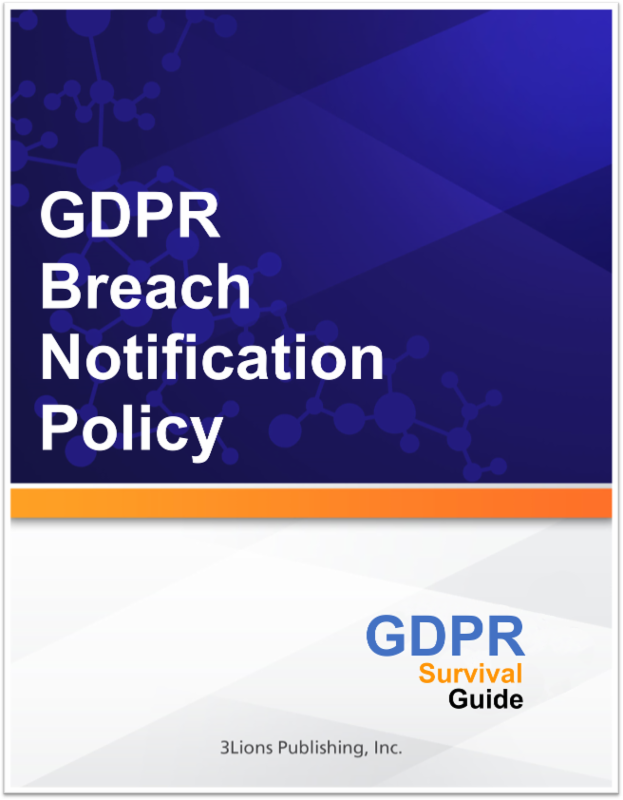 GDPR Breach Notification, GDPR Model Security and Privacy Policies, and the GDPR Model Notice of Privacy Practices. We hope you find this article helpful! Please contact us at support@3LionsPublishing.com if you have any questions. 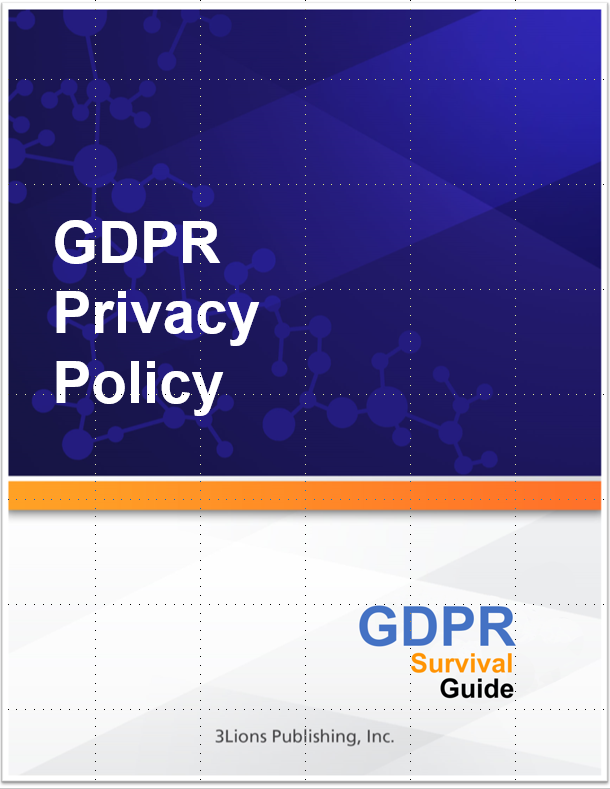 The objective is to explain GDPR Compliance in simple terms, and provide you with guidelines and tools for implementing, refining and measuring policies and procedures. The GDPR is even more vague and descriptive than HIPAA. Although HIPAA does not provide covered entities and business associates "how to" guidance, it does a good job of describing the "what" at a reasonable level of detail. You're out-of-luck with the GDPR. Lawyers have to extrapolate best practices from reading "between the lines" because of what is there, but at such a high level that it will drive lawyers, consultants, compliance officers and laypersons nuts trying to decipher it. PD means any information relating to an identified or identifiable natural person ('data subject'); an identifiable natural person is one who can be identified, directly or indirectly, in particular by reference to an identifier such as a name, an identification number, location data, an online identifier or to one or more factors specific to the physical, physiological, genetic, mental, economic, cultural or social identity of that natural person. Well, that's nice, but why should U.S. entities care about EU law? Because the GDPR applies to ALL companies that target EU citizens with goods and services. So, if you want to sell into the EU then THIS MEANS YOU. What happens if you don't comply? Well, it may be hard for the EU to get jurisdiction over you to impose fines, BUT they can stop your operations in the EU! They can shut you down. That's No Bueno if the EU represents an important market for you. We take appropriate measures to provide information, at the point of access, pursuant to the following: our identity, and the identity of our GDPR representative, and Data Protection Officer; the lawful purpose for our Processing of your Personal Data (e.g. Consent); our legitimate interests, where applicable; the categories and potential Recipients of your Personal Data, and whether we intend to transfer your Personal Data. Further, we will provide you an estimated period that your Personal Data will be stored, and your rights pursuant to your Personal Data such as: (1) the right to access and correct; (2) the right to erasure ("the right to be forgotten"); (3) the right to restrict Processing; (4) the right of Data Portability; (5) the right to withdraw Consent of further use; (6) the right to know the lawful basis for Processing (e.g. Consent, contract, statutory, etc. ); (7) the right to object to Processing (e.g. in the case where Personal Data is being used for direct marketing); (8) the right to receive Personal Data Breach Notification; (9) the right to know about Recipients; (10) the right to file a complaint; (11) rights to judicial remedies. As always our annotated Model GDPR NOPP contains actual hyperlinked references to the law so that you can confirm why this paragraph is contained in the policy and also use it as an educational tool. Surprisingly there is only one Article in the GDPR (Article 32) that deals directly with security. It's not that security is not important under the GDPR, it obviously is; rather, it's that the emphasis on Privacy dominates. 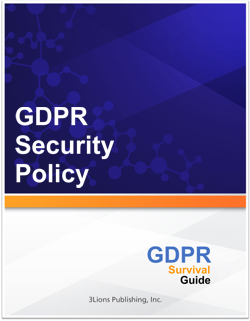 Because the GDPR provides very little guidance (understatement) with respect to the "what" of security requirements, our Model GDPR Security Policy borrows heavily from industry best practices and from our experience with other compliance regimes. Under the GDPR, unlike HIPAA, a Risk Assessment need only be performed when your organization has identified PD Processing that puts Data Subjects at "high-risk." Where that is the case then you must perform a Data Impact Assessment (i.e. a Risk Assessment) and reduce all identified "high" risks to levels of "medium or low." If you can't reduce risk levels to medium or low then you have a date with the Supervisory Authority. Further, for any new Processing you have to perform this Data Impact Assessment before the new functionality ships. The GDPR is unclear as to how quickly you have to perform a Data Impact Assessment for existing high-risk Processing. The GDPR introduces Breach Notification into the EU for the first time. Given what we have witnessed under HIPAA (post the HITECH Act) Breach Notification will also emerge as the GDPR's 800-pound Gorilla. We are not going out on a limb here. It appears obvious, at least to us, that most high profile GDPR enforcement actions are likely to stem for large breaches. Why? Because the Supervisory Authority knows exactly who to audit when that happens. It will also likely use these occasions to send a message that there's a new sheriff in town. Unlike the HIPAA sheriff, who someone shot and has been lame ever since the GDPR sheriffs (there's a mandated Supervisory Authority for every state in the EU) are likely to be better armed and better protected. Just like HIPAA, organizations that want to be GDPR compliant will need to start tracking "security incidents." A security incident ("Incident") means (to us--the term is not defined in the GDPR) the attempted or successful unauthorized access, use, disclosure, modification, or destruction of Personal Data or interference with system operations in an Information System. For the GDPR, an attempt will likely qualify as an Incident as well. All organizations are required to track and review Incidents to determine when Breach Notification is triggered. Why? Because if you are not tracking Incidents, how can you possibly know when there's been a Breach? Notification may be required to both the Supervisory Authority and to Data Subjects but under different conditions. Notification to the Supervisory Authority is required when a Personal Data Breach is likely to result in a risk to a Data Subject's rights. However, Data Subjects need only be notified when the Personal Data Breach is likely to result in a high-risk to Data Subjects. The GDPR provides scant guidance as to how a Controller (or Processor) should differentiate between a risk and a high-risk. Following a Breach of PD, assuming the conditions discussed above are met, a Controller must provide notification of the Breach to affected stakeholders (i.e. the Supervisory Authority and Data Subjects). Under certain circumstances, notification may be required to U.S. regulatory authorities as well (e.g. if it's a U.S. entity that experienced the Breach and U.S. citizen's PD was also compromised). In addition, similar to HIPAA Covered Entities and Business Associates, Processors (or Sub-Processors) must notify a Controller (or Processor) when a Breach has occurred within an Information System under their control that contains the PD of Data Subjects. It is only a Controller that provides Notification. Sub-Processors must notify the Controller (or Sub-Processor) without undue delay. The general rule is that all notifications must be made to: (1) the Supervisory Authority no later than seventy-two (72) hours after discovery of the Breach; and (2) Data Subjects without undue delay after discovery of the Breach. A delay may be allowed for law enforcement, provided that a law enforcement official provides the required information on the record. In the case where such a request is made by law enforcement, the notification may be delayed accordingly. Depending on the facts surrounding the Incident, notice is provided to Data Subjects and the Supervisory Authority. The Notification must contain specific content in addition to being delivered in a timely manner. The Notification must: (1) describe the nature of the Breach, including where possible, the categories and data attributes (where known), the approximate number of Data Subjects impacted, and the approximate number of records concerned; (2) contain the name and contact details for your Data Protection Officer; (3) describe the likely consequences of the Breach; and (4) describe the mitigation measures taken or proposed to be taken. Privacy and Security of Personal Data is important to all individuals and organizations. 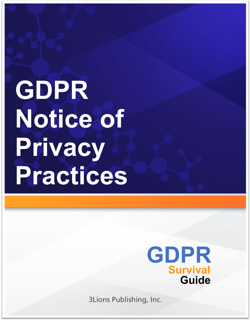 The objective of this article was to provide a high-level overview of GDPR guidelines for implementing and complying with this Regulation. The following information will be presented in our Webinar but is shown here to provide guidance on how to begin implementation of a GDPR Plan. 5.1. Encrypt, wherever possible, all PD within the App in all "states"
9.3. Model letters to the SA, model letters to Data Subjects, model press releases, etc. includes workforce members, partners, government agencies, etc.